As much as I love jewelry, I try to minimize the number of pieces I bring with me on any given trip, since extra jewelry can become reeeeeally heavy reeeeeally quickly. I’ve posted before about what I like to call accessory anxiety and how I used to have it in a big way. I’d always be worried that I wouldn’t have EXACTLY the right piece of jewelry for any given situation while traveling. I’m not really sure what I was worried about. It’s not like the TSA was going to stop me and say: Miss, you totally blew it in the accessory department today. FAIL. Sorry, we’re going to have to confiscate this poorly-chosen statement necklace since it clearly doesn’t do anything for your business suit. I’ve learned a bit over the years, and now when it comes to travel jewelry, as far as necklaces are concerned, I’ve found that bringing three specific pieces with me can cover the spectrum of jewelry needs pretty much every single time. With these three pieces, I can accessorize for pretty much any neckline, outfit, time of day, activity or destination. So exactly what are these three magic pieces of travel jewelry? Welp, they’re not always the same. 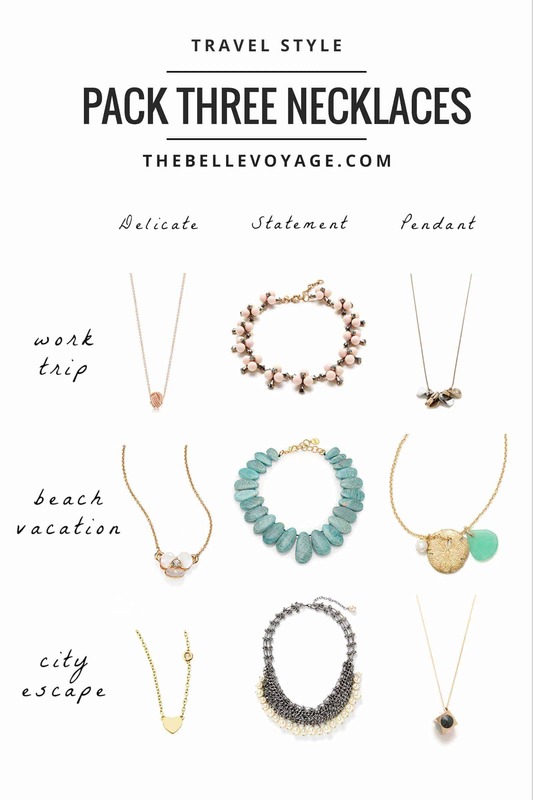 The specific travel jewelry pieces vary depending on the type of trip I’m going on, but they always fall into three distinct necklace categories: a delicate necklace, a statement necklace, and a long pendant necklace. 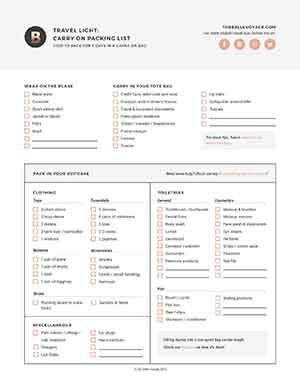 I hinted at this rule a bit in my post for my blog reader Jennifer, while helping her choose pieces to bring on her summer trip to Asia. The specific necklaces I bring usually differ depending on the clothes I’m packing, but I can always rely on these three kinds of necklaces because collectively, they will truly go with ANYTHING. I promise! Three is all you need. It will work. Every. Single. Time. Here’s a few ideas for inspiration!